What do you know about sponsorship? When it comes to sponsorship, the competition is real – and tough. In order to survive it, we need to rethink what potential sponsors are looking for. Thirty years ago, it was a logo on a poster and a program, and a thank you after the event. But that’s no longer the case. Today corporations don’t care about logo exposure on your materials and websites. It has become such a given – logo placement, website links, social media – you shouldn’t have to tell potential sponsors you are doing this. At best, it’s just a footnote. What is your event? Is it a trade show, conference, tournament or charity dinner? Take a look at your clients, partners and suppliers – who would benefit from this event? Look at other industry people and similar events to see who is sponsoring them. Several years ago, I quit using long, involved packages and began using a simple graph along with a cover letter from the co-chairs or president. Decision makers don’t have time to read long sponsorship packages, no matter how pretty and enticing you make them. We used to put them in fancy glossy folders when we made in-person asks. Funders and potential sponsors generally don’t like that either – it gives the perception that you have lots of money. Potential sponsors like the graph because they can glance at it and get all the general information they need. Do not make it complicated because it will make more work for you down the road. I like to say just because you understand, that doesn’t mean everyone else does. Work with your team to determine where you already have contacts. I use a spreadsheet with headers including name, company, email, date contacted and sent package, comments, amount, in-kind, expectation, lead person and comments. Sometimes I use expected amount if they have history with the event. Don’t lowball the request. Ask for what you need. Once you have a targeted list, you need to do your research. Where is the sponsor located and why would they sponsor your particular event? See where they are active in the community and if your event fits their mandate. Who do they already sponsor? What other interests do they have? Learn their history. Are they launching a new product? If you are doing a trade show it would be a clever way to showcase their product, but also consider sampling it if it fits with your event. What do you want from your sponsor? Are you looking for them to cover the cost of a breakfast, completely fund your event or donate a product or cash (or both)? A sponsorship package is important but don’t get too locked into it – be flexible. Sponsors like stand-alone opportunities and most of all, the opportunity to talk. Make a strong first impression because if you don’t, you will lose time. If you send a tailored message and clue into something that’s important to them, the potential sponsor will appreciate the effort, and it will come back to you. Create buzz about your event – tie into their brand and personal plans. Place those ideas in their heads. Give them one idea and they might have three to bounce back to you. This helps to build your relationship. Do not be afraid to take chances on finding these opportunities. Once, I researched a sponsor and thought it would be a perfect fit. When I made the pitch, it failed miserably – it was way too big of a request. But it came back that it could be broken down into five sponsors. They couldn’t have taken on the entire sponsorship and I assumed the sponsor wanted 100 per cent of the control. As it turns out, that wasn’t what their goals and objectives were. You must have value driving your sponsorship packages. But more importantly, these packages need to be adaptable. Think of them like movie trailers – they set up the story and create excitement. Don’t lead with a comment on brand exposure – no one cares about that and, in this game, it is a given. The trick is to find a way to have the event complement their brand. If you have a standard sponsorship that is a gold sponsor and it includes a booth and delegate pass, and they want to bypass the booth space, figure out what can you give them in return. Make sure they are getting what they actually want. Most likely, they will want a speaking engagement of some kind, including the possibility to introduce a speaker. We can’t do events without sponsors, but we have to make sure they add value to the event. If you have an event at a hotel or venue and have free meeting space, offer it to them to meet with their clients. Think about how to add value. 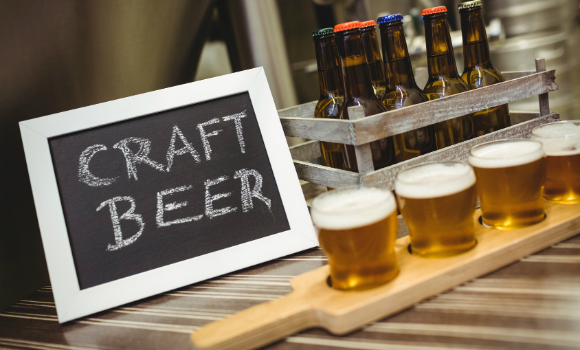 So, for example, have local craft breweries sample at your event and make the hotel only buy their beer for your event. Discourage telling them exposure is the only thing and pitch them something they really want. We can’t run events without sponsors, but you must make sure it’s something the attendees will appreciate. Don’t go to the well too many times – make sure you appreciate your sponsors. Do not offer something to a sponsor that is paying less to one that is paying more. You also need to meet – and exceed – all sponsors’ expectations. Find ways to give extra wow such as organizing a sitting area or renting furniture colours that match the colour of their brand. These can be simple things but when you take and share photos with your sponsor, they will have an impact. Make sure to touch base with your sponsor on site. 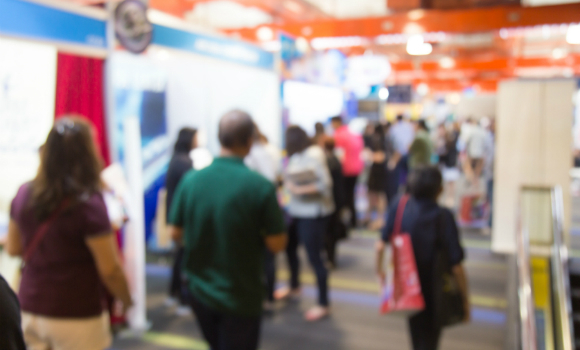 Managing expectations for trade shows can be difficult because everyone wants to be in certain spots – maintain that particular item carefully on site the whole time so no one is near a competitor. As long as you are transparent, your sponsor will appreciate that. Now that you have sponsors in place, have met and exceeded expectations, and found that extra wow factor, you have to find out how things look from their perspective. Are they looking at attendee satisfaction as a gauge of value for their sponsorship? Are they looking at engagement and how are they measuring that – press or media coverage, logo placement, or a link to the website? Sponsors will want the attendee list, which is part of managing expectations (only this time it’s at the end of the event). If they do know they won’t receive this in advance, they can think of creative ways to bring attendees to their booth or place of business. The best way to determine if your sponsors are happy is if they are willing to do it again in the future. Happy sponsors make for great events. This entry was posted in Event Branding & Marketing, Event Budgeting, Event Operations, Special Events and tagged competitors, creativity, customization, Karen Turner, leverage products, leverage services, manage expectations, measuring, research, sponsors, sponsorship, target list. how do I get sponsorship for my early childhood development centre in the rural community.